Very cool shot -- great eye! Love the repetition and the dof! Excellent repeating shapes and dof on this.The scrollwork is really interesting to study too. 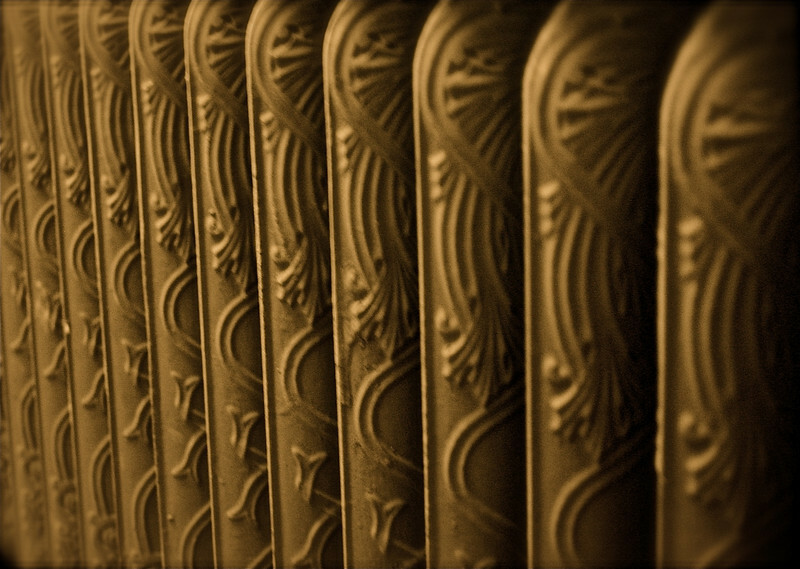 I love these old radiators! yes!. this is wonderful... yours??? An old radiator? This is wonderful -- love the repeating pattern and the composition. Wonderful detail and warm tone to this. Well done!